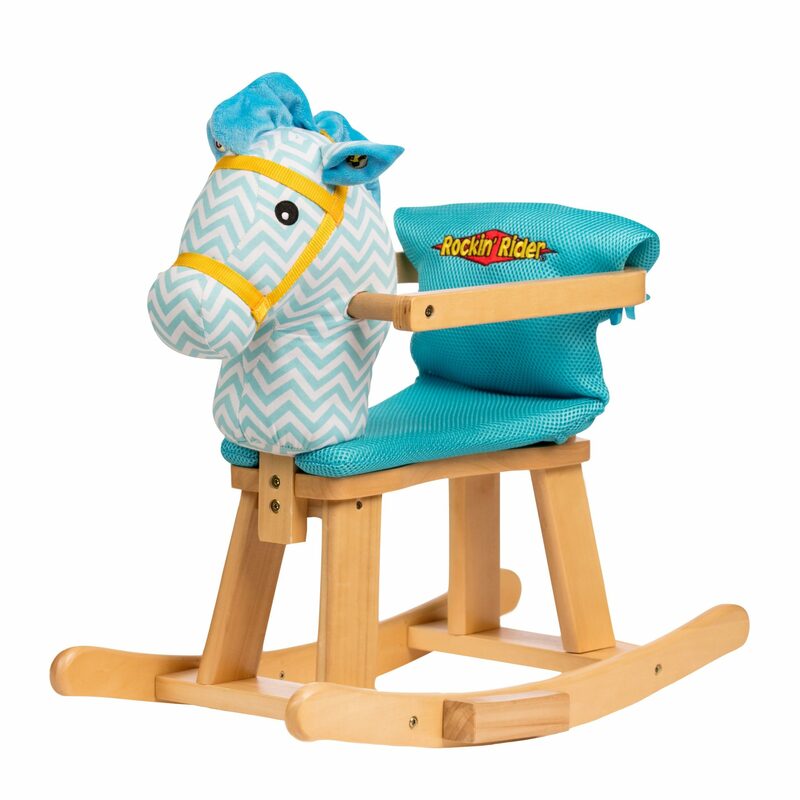 The Baby’s First Rocker from Rockin’ Rider features a sleek and modern natural wood design complete with a soft-stuffed horse head. 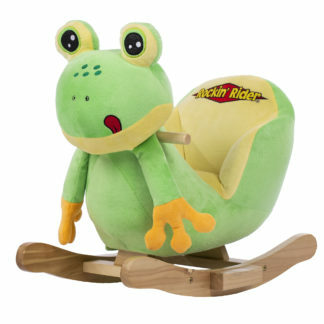 The padded seat cushion is made of cool, breathable mesh fabric and is removable and washable. 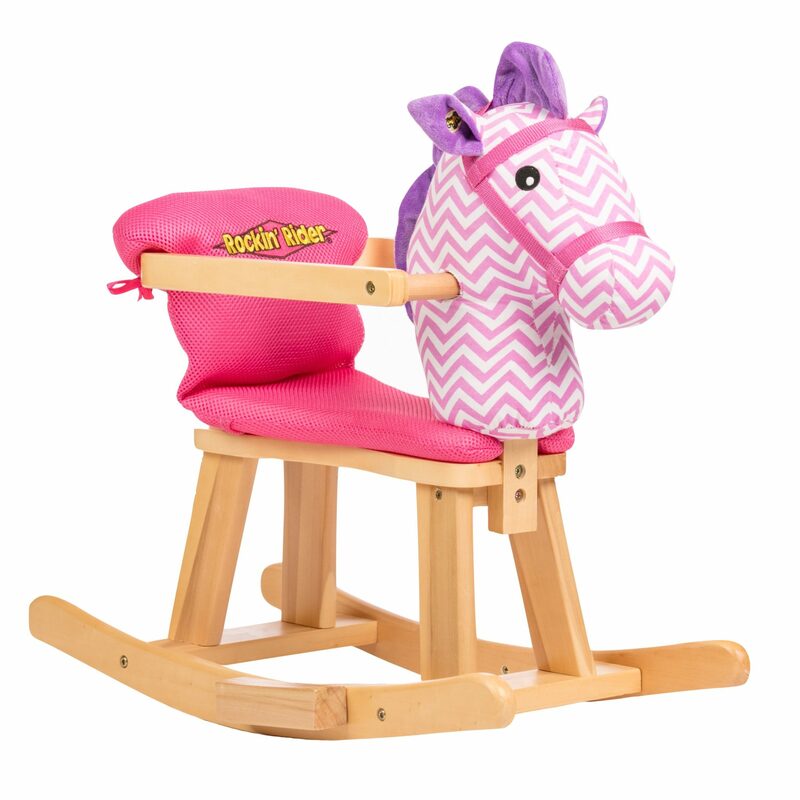 Press ears to hear the exclusive “I’m a Little Pony”, fun talking phrases, and realistic horse sounds. The 360? 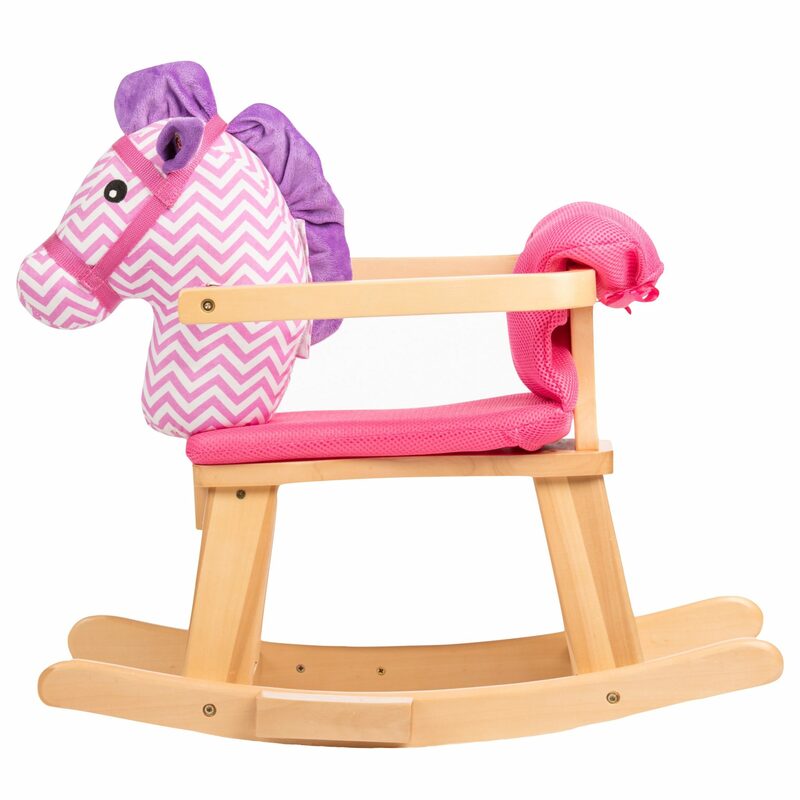 safety seat completely surrounds your child and assists with sitting up and balance. 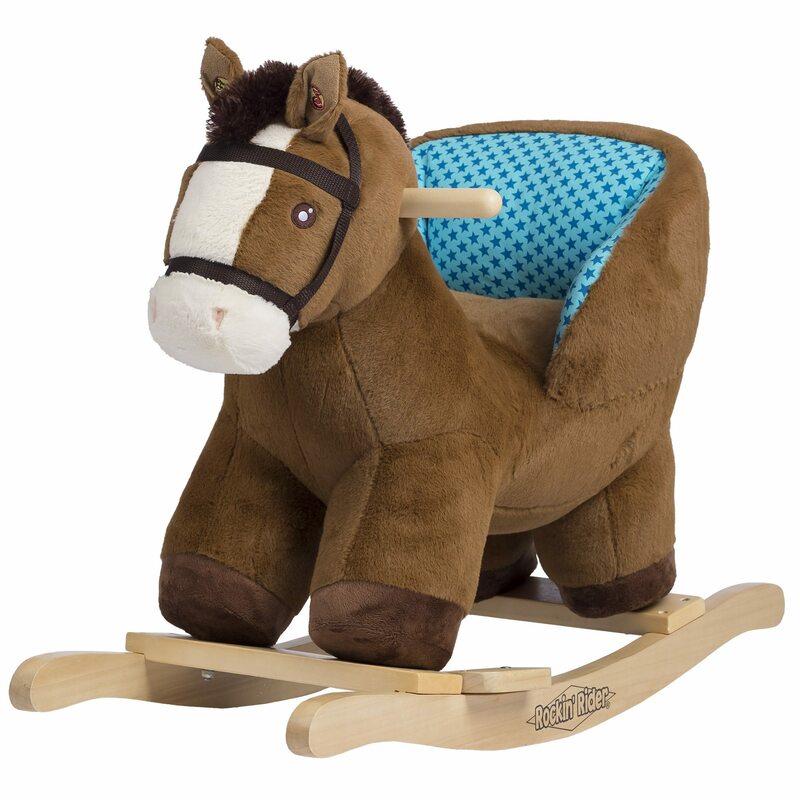 Additional features include a mane with crinkle material and a natural wood base with foot steps. 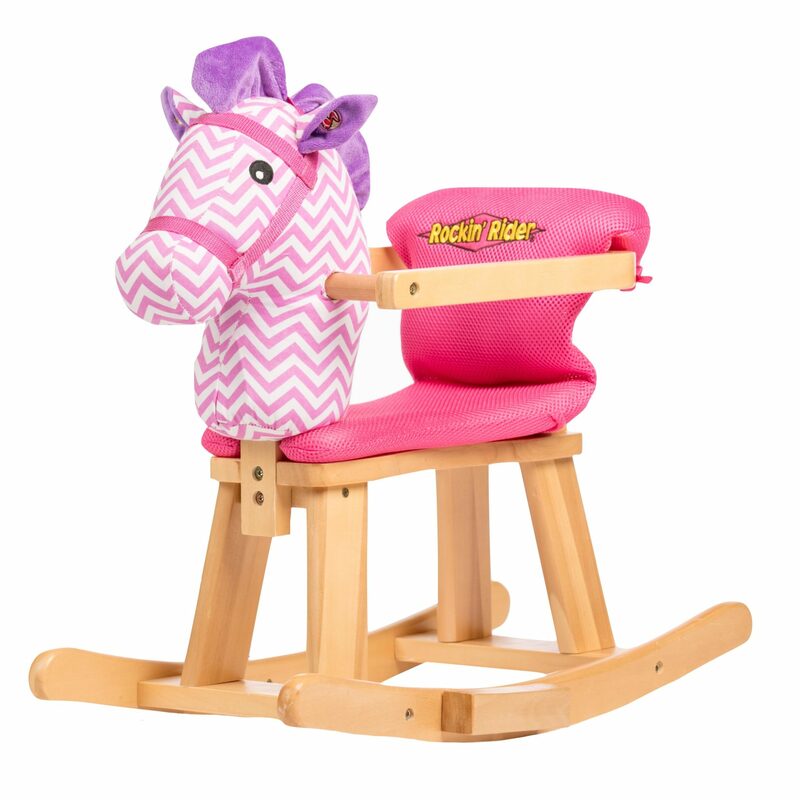 Adult assembly is required. 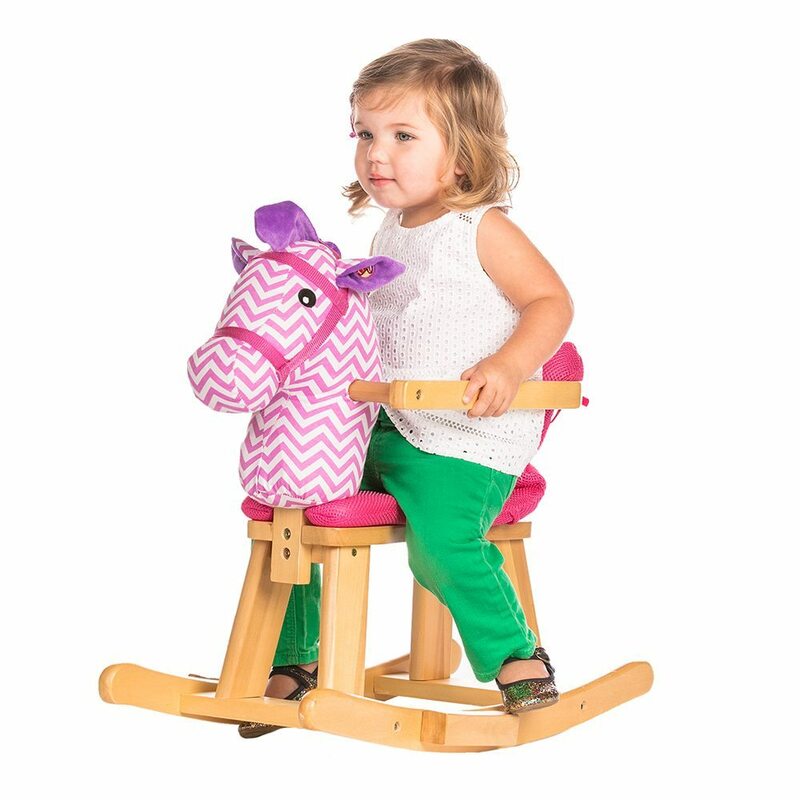 Seat height 9.5″. 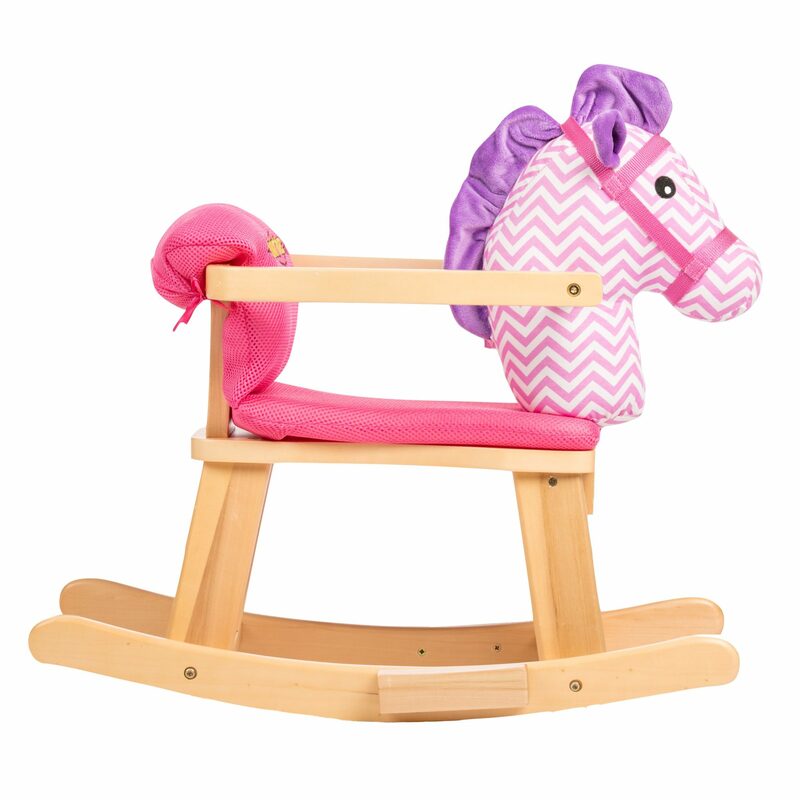 Requires 2 AA batteries. 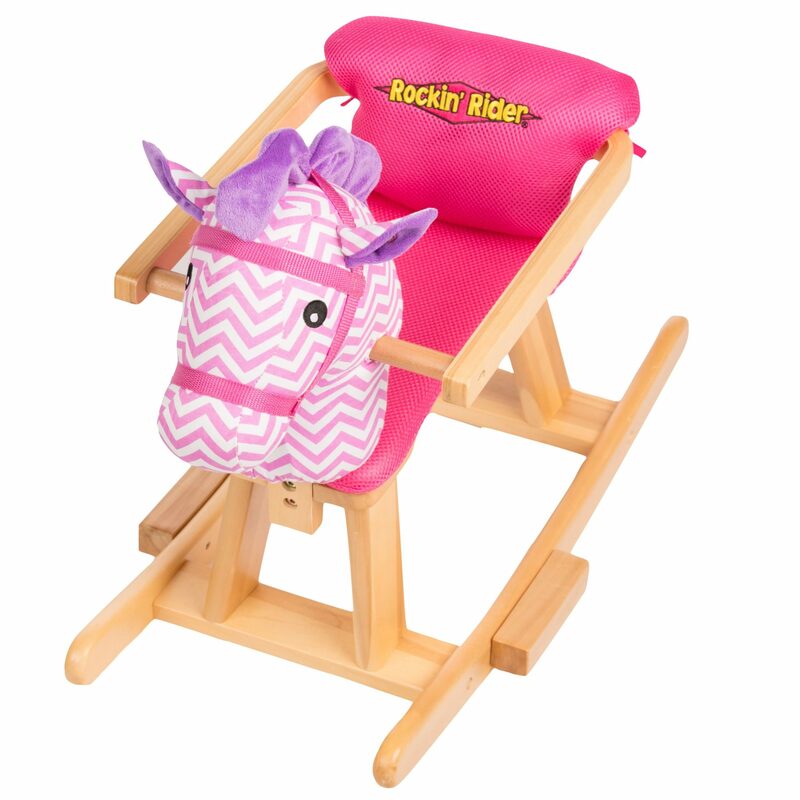 Baby’s First Rocker is recommended for ages 12-36 months and up to 40 lbs.